Students participate in the Thunder Dance marathon to raise money for the Hoops Family Children's Hospital at Cabell Huntington Hospital. Marshall University’s Thunder Dance Marathon raised $36,578.60 for the Hoops Family Children’s Hospital in Huntington. 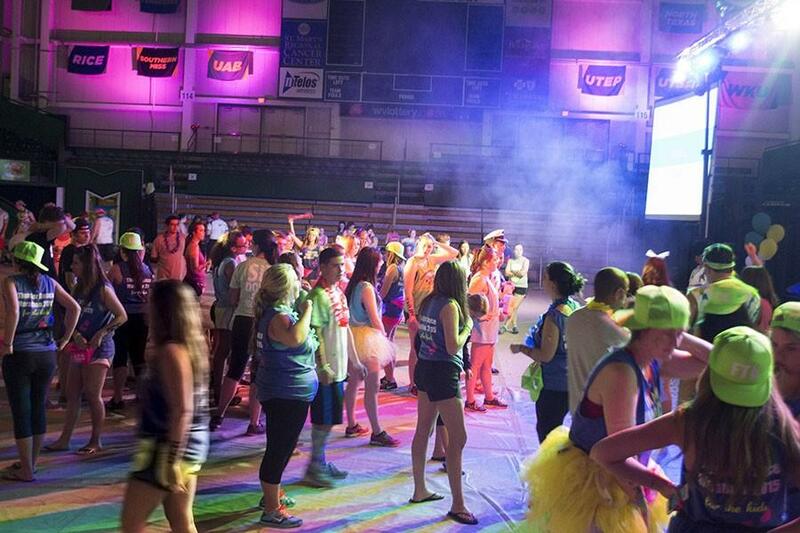 Thunder Dance Marathon is a 24-hour, non-stop dance-a-thon for participants who each raised $100 for the organization. There were 132 dancers at the event. Dancers were taught a line dance they performed at the top of every hour. Themed activities were set up for participants to do after performing the line dance every hour. “My favorite part about Thunder was the different themes and how fun the Thunder committee made the night for the dancers,” said participant Taylor Watts. Thunder is based off of the University of Kentucky’s Dance Blue, a 24-hour dance marathon.